While offloading for a last trip in Baja, I saw that one of the bikers had a strange looking tire on his bike. Taking a more detailed look, I recognized it was the latest Dunlop, also known as the Geomax “81”. I did not really expect that there was a brand-new tire out in the market. So I thought I’d have to check it out and test it for myself and hence have done a full Dunlop AT81 review. Maybe you have not heard that the long running Dunlop 739 line has been recently taken out of production. Honestly, I am not exactly sure why Dunlop really feels that they should overhaul their line every couple of years. It worked so well for me, and as it probably has with other people. I mean, if it works, if it’s not broken, why fix it, you know? Yes, I understand they consistently develop brand-new solutions and are also building and improving based on people’s and customer’s suggestions, however why would they ever think in the first place, to stop producing a few of the most effective tires ever made before; the 755, 756, 742 as well as currently the 739? My point of the matter is that the 739 tires (FA & AT) are a few of the greatest all-around tires that have been made for the open ground. The more recent MX71 is fine, yet I do not believe it is as resilient or carries out also over a variety of surface areas. I recognize that this brand-new AT81 is currently a favorite among KTM group motorcyclists in the East, so I wanted to try it for myself. 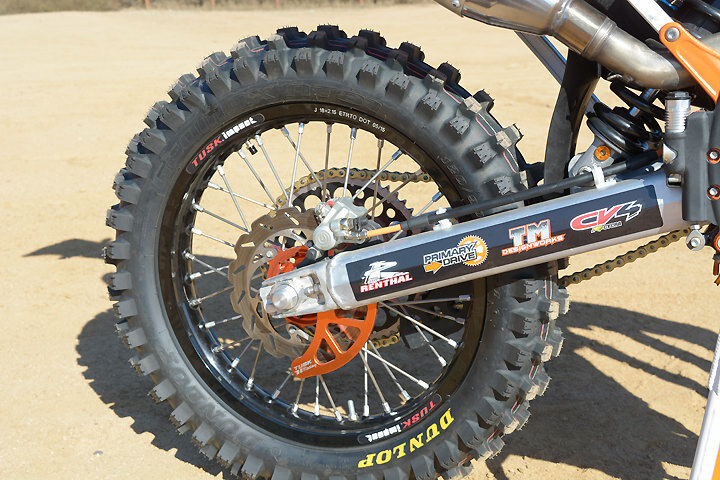 For this Dunlop AT81 Review, the tire is installed on a KTM 450xcw. 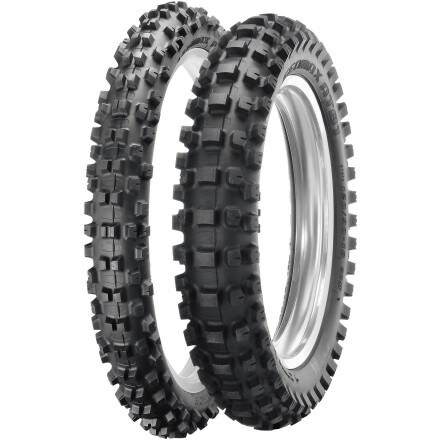 Our contrast tire is a Kenda Trackmaster placed on the KTM 450xcf. Our Baja journey completed 600 miles over all kinds of completely dry surface. Comparatively, the Kenda reveals almost the very same quantity of general wear from gas mileage, yet there is not a solitary mark anywhere on the tire. It will certainly benefit a few more trips. We also examined the Geomax AT81 RC (Reinforced Construction) rear and AT81F front as we were looking for a long-wearing tire that also gives high performance traction, a tough reason for sure. Dunlop has a lot of fancy words and techniques to describe the features of the tire but they make sure to reinforce that the AT 81 and specifically the RC tire is built to be long and tough lasting especially in harder landscapes. When installing the rear tire, you can feel the added rigidity. In the beginning we ran the tires at 12 psi and found the traction to be as good as could be expected on harder to medium dirt surfaces. It isn’t specific about pressure, like some tires, however it goes vague once it goes below 10 psi. The front tire does not turn like how it did with higher pressure. But if you really push the limit of traction, the tire lets you know it is sliding and does not just give out immediately. The best way to describe the feel of the Dunlop AT81 is that it will spin up a little easier than most tires upon a little boost of power. 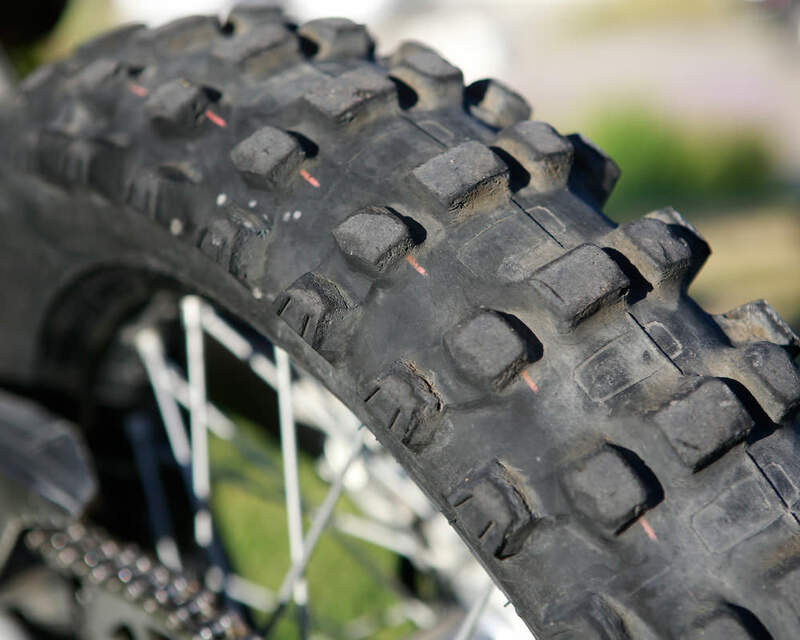 Additionally, the tire can be run at lower psi or with a soft mousse to grab more traction without the sidewall giving up and ruining the handling of a bike. The open block pattern has the look of a very widely spaced trials tire pokes for traction rather than using a soft compound to stick. The wear of the tires, especially the rear, was a little quicker in the beginning than we expected, to the point at which one might take it off if you are looking to keep a square edge in racing. On the front tire, the sidewall knobbies started to tear for a longer time than expected. Additionally, the stiffness of the rear tire definitely aided it from flats. When compared to other tires, it never offers the best grip. 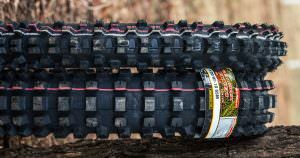 And compared to some of the other long-wearing tires (most notably the Maxxis Desert IT) it does offer superior traction. We tested the Dunlop AT81 RC (Reinforced Construction) rear and AT81F front looking for a long-wearing tire that also gives high performance traction, a tough call for sure. Dunlop has a lot of fancy terms and technology to describe the features of the tire but they make sure to reinforce that the AT 81 and specifically the RC tire is built to be long and tough lasting especially in harder terrain.